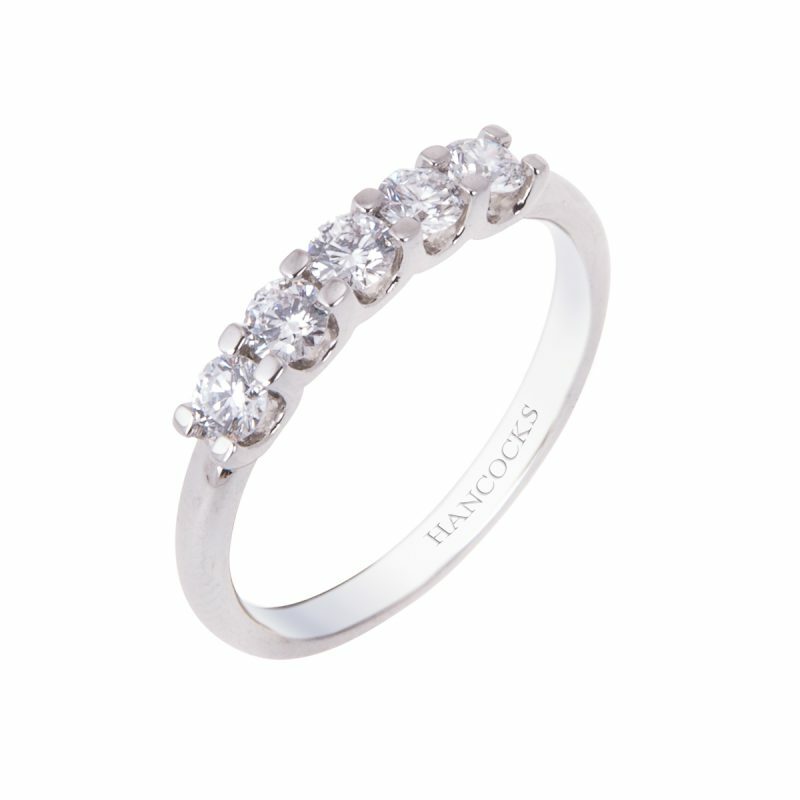 This stunning half eternity ring features a single row of 7 brilliant cut diamonds each held within a 4-claw setting and sparkle beautifully in their platinum band. 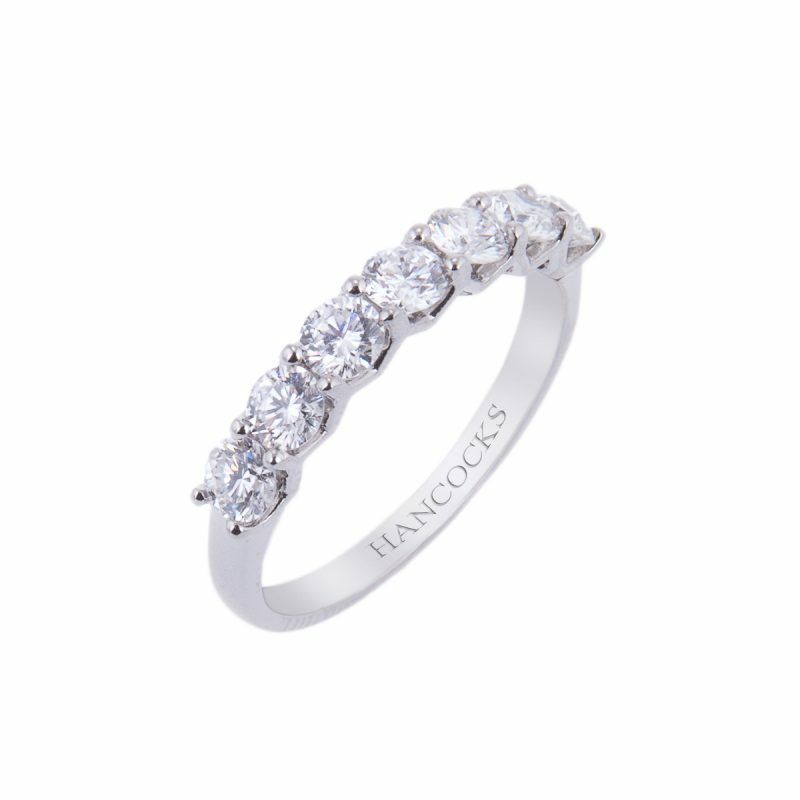 To complete your wish list this perfectly proportioned eternity ring will certainly fit the bill for a lifetime. 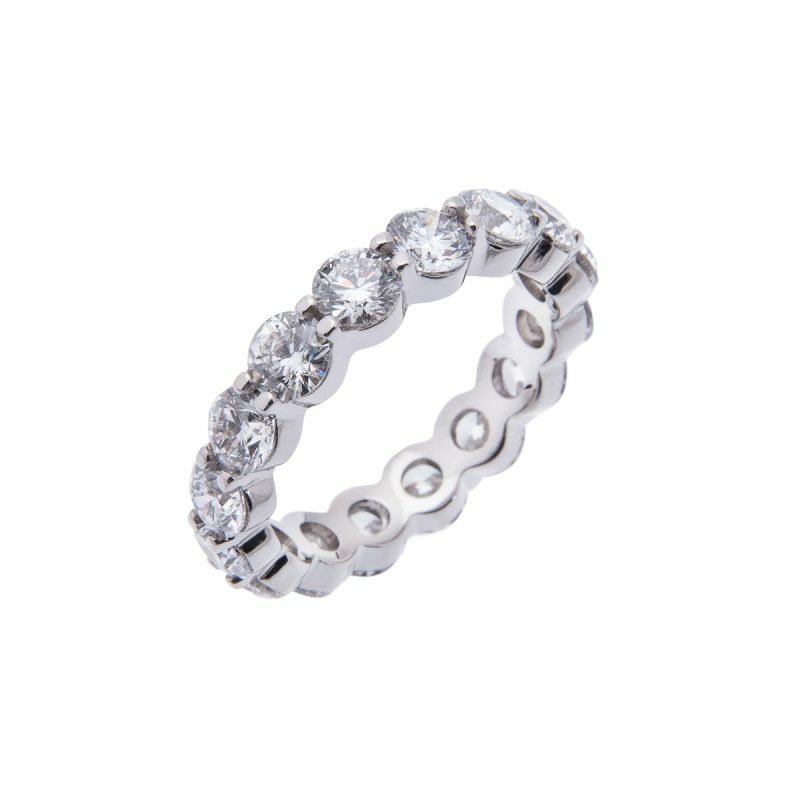 A fabulous choice to mark that special anniversary or the birth of your first child, all significant milestones in your life’s journey, celebrated by the purchase of this dazzling eternity ring.